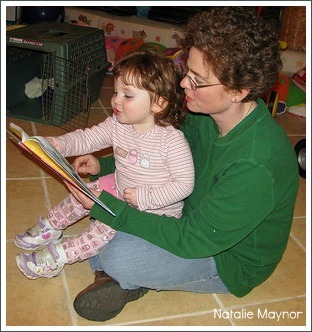 Reading aloud is a fantastic thing to do with your baby or young child. It's great fun, creates a wonderful bond between you and helps your child develop a range of skills which will help him or her to do well at school. Language skills, concentration and listening skills and phonological awareness, an important pre-reading skill, are all skills which can be stimulated and developed by reading aloud in the right way. 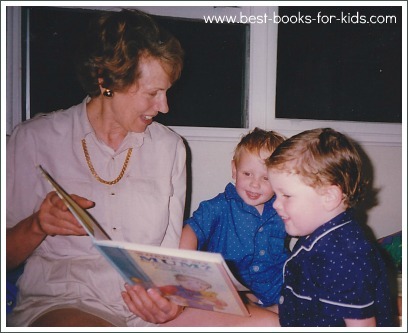 My three children are now young adults (aged 23, 23 and 19) and I have many very, very happy memories of the years we spent reading aloud together. We read tons of books, starting from when the boys were babies and progressing to The Lion, the Witch and the Wardrobe and Harry Potter when they were about six. My husband and read aloud to their little sister, too, when she came along and she also snuggled up on our bed with Dad and her brothers to listen to the books were were reading to the boys. So reading aloud is a brilliant, beautiful and very nurturing thing to do with your children but there a right way to read aloud. Just going through the motions because you've been told reading aloud is good for kids and you know you should do it simply won't work. Your child will be able to tell you're hating every minute of it and will probably take away all sorts of negative messages about reading and books from the experience. 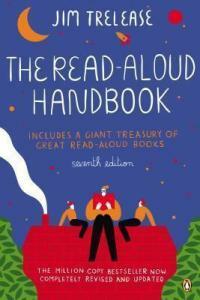 So What's the Best Way to Read Aloud? There's loads of evidence about how important reading to children is and the benefits it brings but not so much information about how to actually do it. 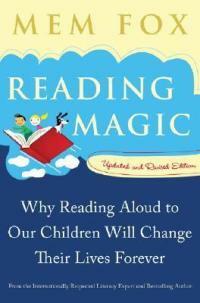 Reading aloud comes naturally to some people, especially if they've been read to as a child. My mum read aloud to me when I was growing up but, even so, I remember feeling really awkward when I first started to read aloud to my twin sons when they were babies. So I suspect most of us could use a bit of guidance when it comes to reading aloud to our little ones. With that in mind, I've put together a list of five quick tips for reading aloud. You'll find more detailed, step-by-step ideas about how to read aloud here but here are the five most important things to remember about reading aloud. Parents sometimes think reading aloud to a tiny baby is a waste of time and tend to wait until their child is older to start. The earlier you start the better! I was really surprised at how young my children were when they started to pay attention to the books I was reading. At three months they were looking at the pictures and reaching for the book and by six months they were turning the pages of board books themselves! Children's author Mem Fox tells us that children need to hear a thousand stories before they can begin to learn to read. It sounds like a lot but three stories a day over three years will get you there. Sometimes your child will want to hear the same story three times and that's fine. Kids love familiar stories and won't tire of the repetition. It can be fun to mix it up though - try two well-know favourites and one new story a day. 3. Any time can be story time! Definitely read to your child at bedtime but don't only read at bedtime. Reading to your child is great at any time of the day! A favourite in our house when my boys were small was a story before they settled down for their afternoon nap. Try also keeping a favourite book in your handbag. I found this a lifesaver when I had to wait anywhere - at a doctor's surgery or bank, for example - and my children started to get restless. I'd produce the book and start to read and instantly I had their attention and they calmed down. 4. Read with enthusiasm - have fun! Don't read as if it's a chore. If you don't enjoy reading aloud, your child won't enjoy listening to you. The most common mistake parents make is to read too quickly. Take your time! If you're reading a new book, ask your child what he thinks it might be about before you start. Once you start to read pause every now and then to chat about the story. Wonder out loud what might happen next, talk about the pictures and so on. Invent funny voices for the characters and make the animal noises. Don't be shy - this part of reading aloud is the most fun! Encourage a young child to have fun with the book - to finish the rhymes, find the letter that starts his name and so on. Once you start, you'll find it easy to come up with other fun activities. The key is that it should always be fun. Never get tense about reading. Unfortunately some books for kids are simply boring and/or badly written so you'll need to spend some time looking for really wonderful books. Ask other parents, librarians and book sellers for advice or check out the huge range of books available from the Book Depository. You can also check out my lists of the best books for each age group, by clicking on the tabs on the left of the screen.